Real photo postcard of the Solemint Store, n.d. (ca. 1950). 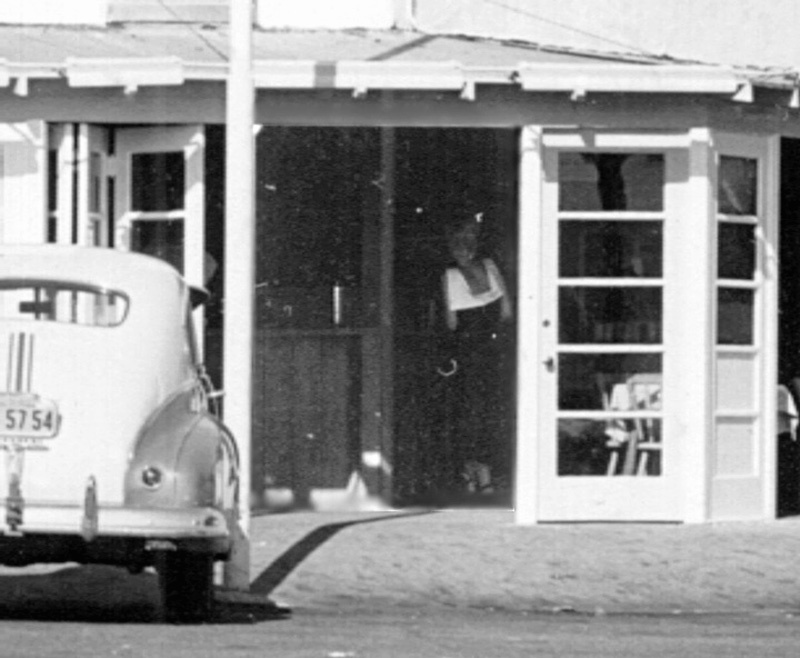 The Solemint Store was located on the east side of today's Sierra Highway, just south of Solemint Junction (the Sierra-Soledad intersection) in Soledad Canyon. Photo acquired by SCVHS on 3-2-2003. Date estimated by Todd Spiegelberg of Woodburn, Ore.